Saint Vincent is part of the Windward Islands, arguably the wildest and most scenic islands of the Caribbean. 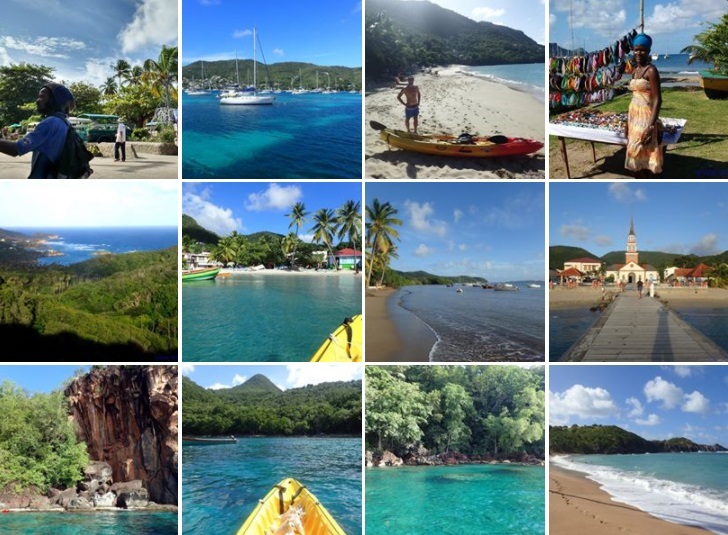 Saint Vincent is even wilder than the other islands and hasn't changed with time. The small towns are still very simple and picturesque and nature is mostly unspoiled. For the independent travel, a rental car is very useful to explore the many beaches and the interior. We visited Saint Vincent by sailing boat, arriving from Martinique and then again, more deeply, sailing upwind from the Grenadines. (For the map and general info about the trip, click here: holidays in the Caribbean). Wallilabou is a stunning bay in the west coast of Saint Vincent. Here were shot many scenes of the movie Pirates of the Caribbean. One may think that such fame has been used to make the place very touristy and comfortable for visitors... instead, it remains a wild bay, with the trees right on the sea, the ruins of two small piers and a bar that's falling apart where you can see some objects from Pirates of the Caribbean movie. In this bay there is room for about ten-fifteen boats that have to moor very close to the beach, with a rope tied to a palm. The option of being assaulted by real pirates doesn't seem so far-fetched as strange people with a machete walk around ashore. However, there have been just a few accidents in the last years and most people are nice, even though are a bit drugged. When you moor, local people come with small rafts made of wood and beer boxes to try to sell fruit and bread. Cumberland Bay is just as beautiful and, if possible, even less touristy. Some colourful houses face look at the bah from the green hills. For the rest, the bay is completely unspoiled. To go swimming in clear waters you need to get a little bit far from the beach, by kayak or by dinghy. Both from here and from Wallilabou it is possible to take trips to the interior reaching beautiful waterfalls in the jungle. The leeward coast of Saint Vincent boasts many other beautiful bays that are worth the trop. In some bays to the south of Wallilabou the water is fantastic and ideal for snorkeling and diving (the coast is usually very steep, but at the bottom of the bays there are small fascinating beaches shadowed by the palms). Most of all, sailing along the coast of Saint Vincent we were fascinated by the bay of Chateaubelair. Here there are an islets where it's beautiful to swim, a peninsula covered by palms and, in the middle, a long beach on which there are the houses of the picturesque town of Chateaublair. Even a lover of adventurous trips like me wishes for a moment to see some sign of tourism. Instead, Chateaubelair is intact and authentic and even during Christmas holidays you might not see any other boat in the bay. Then go visit the pages with info dedicated to travel itineraries in the Caribbean, to sailing in the Caribbean and to the kayaking trips in these amazing islands. 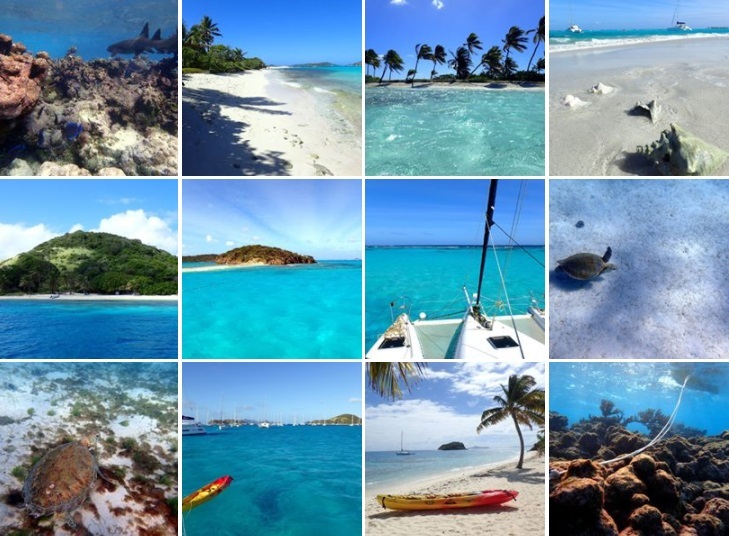 You can also get specific info about Martinique, Saint Lucia, the Grenadines and Tobago Cays.